Cutting-edge research has shown that iron-platinum nanoparticles – a promising next-generation data storage material – respond to laser pulses by stretching and contracting, according to a new report published in the journal Nature Communications. Magnetic data storage devices are popular for storing data in almost all aspects of our digital life. While they are likely going to remain vital for the near future, existing technologies are nearing their technical limits. Today’s hard disk drives, for instance, can reach storage densities of many hundred billion bits per square inch and future magnetic devices aren’t projected to exceed much greater than a trillion bits per square inch. New advancements are necessary to take magnetic information storage to the next level. Facing ever-growing demands for data storage, hardware engineers are trying to optimize the density with which these medias can store data. In the new study, researchers took a major step in the direction of new magnetic storage devices by showing that laser pulses could demagnetize iron-platinum nanoparticles in less than a trillionth of a second, triggering atoms in the material to squeeze together in one direction and stretch apart in a different direction. The outcome offers the first atomic-level information on the mechanical strain referred to as magnetostriction, which happens when the magnetization is altered in magnetic materials. The phenomenon appears in many ways, including the audible hum of transformers. Prior to the study, the study scientists had thought that these structural shifts occur fairly slowly. However, the new research indicates that ultrafast processes could have major practical implications. 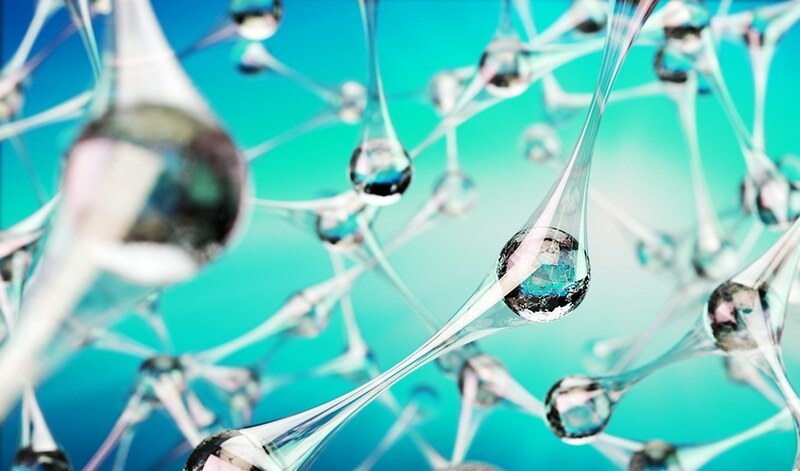 Study author Hermann Dürr, from the Stanford Institute for Materials and Energy Sciences (SIMES), said models of iron-platinum nanoparticle behavior did not predict the fast, fundamental atomic motion seen in the study. Although we don’t yet understand the full ramifications of these processes, including them in our calculations could open up new pathways for the development of future data storage technologies. Co-author Eric Fullerton, director of the Center for Memory and Recording Research at the University of California, said one promising application of the new research involves heat-assisted magnetic recording in hard drives with nanosized grains of materials like iron-platinum. In this method, the information is encoded with a nanofocused laser and a magnetic field, or possibly even a laser alone, that switch the magnetization of the nanoparticles. These next-generation drives, which can have much larger storage densities, are already being tested in the industry and could soon become commercially available. To reach their conclusion, researchers directed a brief laser pulse onto the nanoparticles, which measured around 50 atoms in diameter. Using femtosecond X-ray flashes, the team was able to see how the laser altered the magnetization of the material, from totally magnetized to mostly demagnetized. The team repeated the experiment using an ultrafast electron diffraction (UED) instrument, an electron microscopy device that uses a pulsed beam of highly energetic electrons. With this technique, the researchers essentially created a stop-motion movie that revealed how atoms in the nanoparticles reacted to the laser light. Xijie Wang, head of a UED initiative at Stanford University’s SLAC National Accelerator Laboratory, where the study was conducted, said the research also showed the power of combining these two analytical methods. “The high-energy electron beam was absolutely crucial in the determination of the 3-D atomic motions and without X-rays, we wouldn’t have been able to link these motions to the material’s magnetic behavior,” Wang said.